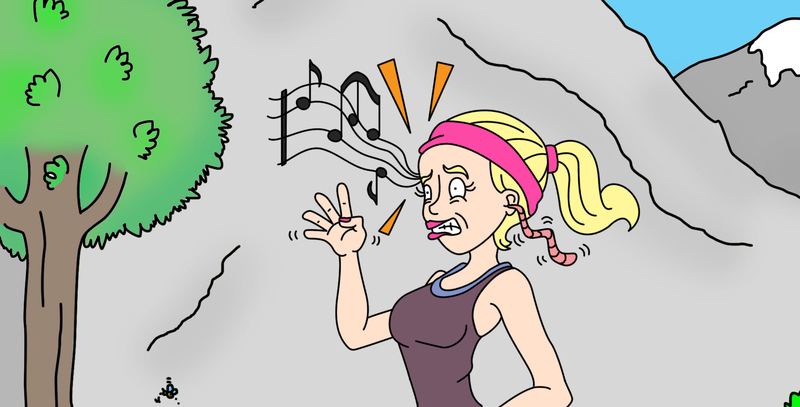 Which sounds further: 160km or 100 miles? I’ve now run six of them and I’m still not sure. But I’m certainly grateful that in South Africa the checkpoints are kilometres apart rather than miles – that way we can tick them off quicker! 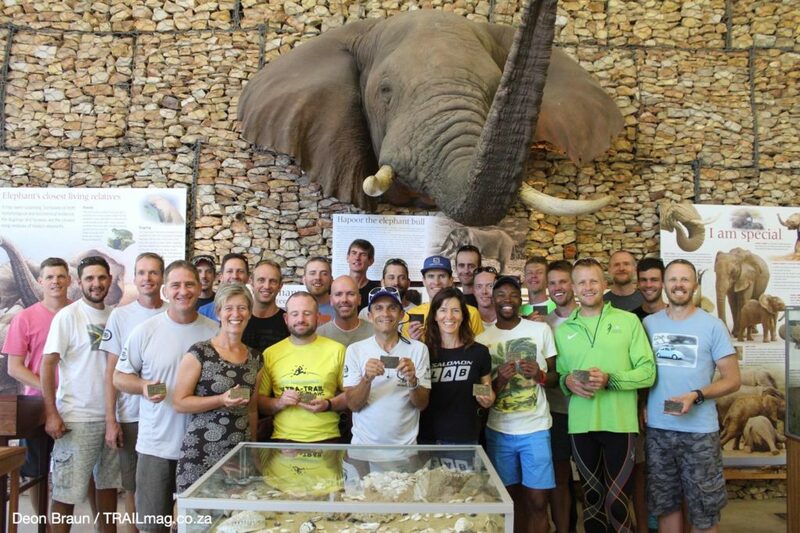 The Addo Elephant Trail Run 100 Miler 2016 was a special race on many levels. Not only is this one the only trail 100 miler in South Africa at the moment (and I emphasise at the moment… a lil’ birdie whispered in my ear there’s another soon to be announced…), but it’s the only 100 Miler in the world that’s run in a national park that is home to the Big Seven (lion, leopard, elephant, buffalo, rhino, Southern Right whale, great white shark – as the Addo Elephant National Park has a marine reserve section as its eastern border). How’s that for a pretty cool claim to fame! 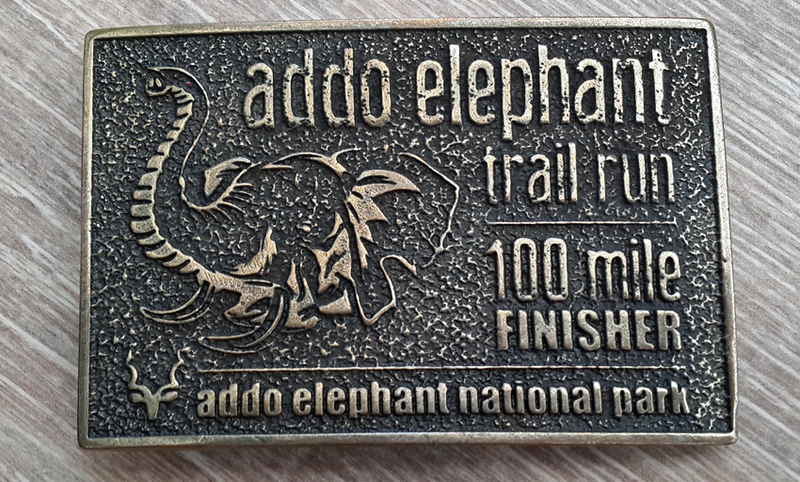 The Addo 100 Miler always was South Africa’s first full 100 miler on trail. The original race was the brainchild of trail event pioneers Estienne and Nadia Arndt, who staged the race five times (2005-2009). At that time, ultra-distance fervour hadn’t yet sparked in South Africa and uptake was small – with fewer than 20 entrants each year, the race did not warrant the enormous logistical challenge involved in staging such an event through a national park, and the race was put on ice. Estienne and Nadia’s work, however, was instrumental in the resurrection of the event by Sian & Sheena O’Keefe, and Jane & Dallas Barnardo, all of Free Spirit Adventures, and the Addo Elephant Trail Run 100 Miler was reborn this year – perfectly timed for the take-up by 38 eager ultra junkies. 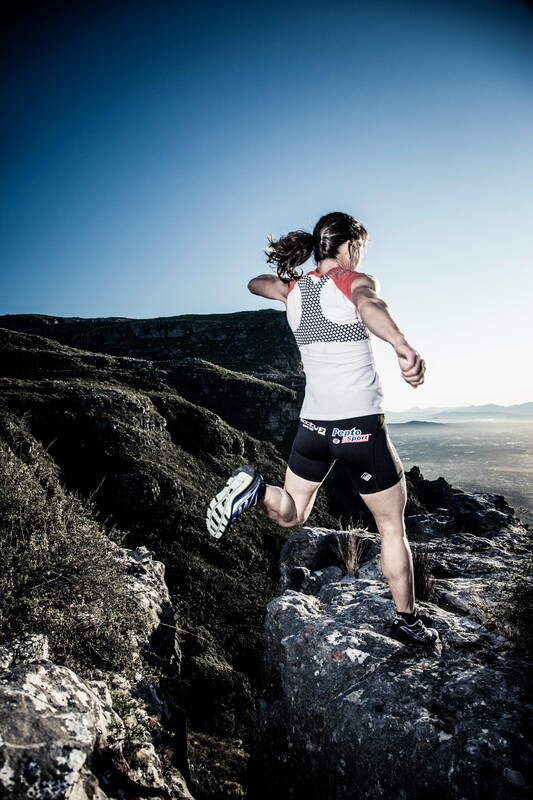 With its new beginning came a new route – and with it, a whole lot more vertical gain. A remote section in the northernmost part of the park was opened with a 17km length of single track, allowing runners to experience the feel of true, unspoilt Eastern Cape wilderness. With the popularity of ultras on the rise, the time for this race is right: 38 entrants this year… I predict there’ll be more than double that for 2017, this one’s such a great event. I’d been looking forward to this race for a long time. Having not run the original Addo 100 Miler, when Sheena gave me the heads-up they were bringing the race back, I was there in a shot. The Addo region can really bake this time of year, with temperatures reaching as high as 48 degs C. But weather conditions on race weekend were perfect – with temps in the late 20s, we couldn’t ask for better. The 2pm race start was strategic – the organisers wanted to expose as few runners as possible to a second full night, and the 37 hour cut-off would see the last runner in by 3am on Sunday. The first 10km were an easy run along the dirt road towards Zuurberg. The pace was steady, an ideal leg-loosener for the long journey ahead. It was on a bend in the road just before the first CP that I made a foolish error – I saw a board with an arrow clearly pointing up a path to the right… I questioned it in my head, remembering the instruction to turn off the road only at the first CP, but here was an arrow… The guy in front of me followed it, so I thought I should too. Up the path I went, as it wound its way through the bush and on… and on. Every now and then I could see the guy ahead, so on and on I followed. But where were the markers? Eventually, I saw the guy turn around and head back down the path towards me – clearly we’d taken the wrong route. We retraced our steps back to the road. Clearly many of the runners were now ahead of us – I had no idea now where I was in the field. But with 150km still to go, that hardly mattered – I refocused and soon was back into my rhythm. It was only 20km later, at CP3, that I learned that I was not the lead woman – UK runner Jennifer Bradley had passed me when I’d taken that wrong turn, and had bulleted on ahead, putting 20 mins into the gap between us! The immediate temptation was to put foot and try to catch her quick. But I had words with myself – better to run steady and gradually reel her in over the next 30km or so. Hopefully she’ll have gone out too fast and won’t be able to maintain her pace. And so went the plan. Steady did it. Bradley Hyman and I ran together on and off for the next 60km, well into the night. 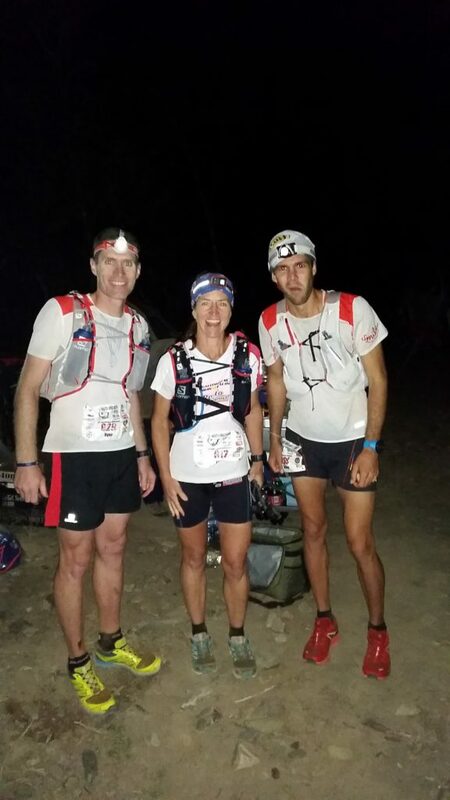 Somewhere around 85km, just before CP10, we noticed the light from a headlamp up on a rise to our right – it must be the runner ahead of us, we thought, possibly Jennifer? Not long after that we came to a fork in the jeep track, with a marker turning us left. But the light we’d seen had clearly gone to the right? We ran on, following the markers, wondering. Around 14 hours into our run (4am or so), Brad and I reached CP11, the drop bag point. To my surprise, I learned I was the first woman there. Where was Jennifer? The light we’d seen to the right of the track must’ve been hers? As at all the checkpoints, the volunteers there were brilliant at refuelling us – I had my best cup of tea at that CP! Ryno, me and Brad before we set off, porridge-fuelled, from CP11. It was there we found Ryno Griesel, snugly wrapped in a sleeping bag and sound asleep! Ryno had gone out super-fast with Bennie Roux, and had struggled with nausea from about 60km. Not having been able to keep food down, his fuel tank was completely empty, and he’d stopped at the CP for a nap. A hearty bowl of hot, sweet porridge for each of us, and this trio set off together into the night to conquer the final 60km. It wasn’t long after that when my knee started whingeing. And whingeing spectacularly. I had hammered the steep downhills in the first half of the race quite hard, and now I was paying for it. Every descent triggered sharp pain at the inside of my right knee cap, and no amount of stretching my quads could ease it. I knew I was falling off the pace, so I told the guys not to be polite by waiting for me – they should race on. Fortunately I had my hiking poles from my drop bag. They became my lifesaver. The next 50km became a jostle between trying not to worsen the knee pain, and maintaining some semblance of decent pace. I pretty much power-walked the equivalent to a full Two Oceans Marathon! Even the pain I felt couldn’t distract me from the beauty of that section. Between CP13 and CP14 the route traversed through undisturbed Eastern Cape wilderness, 17km of single track through thick forest, across streams and along open grassland where few have had the privilege of passing. At one point I saw a large herd of 20 or more eland on the ridge above, and managed to disturb a warthog who’d been grazing peacefully in a woody glade. In his panic he stormed at full pace through a thorny thicket in front of me, charging straight up a steep rocky outcrop and thundered down the other side. I remember looking at that majestic eland and wishing I had his knee joints! With my pace so slow, the hours seemed to tick away faster than the kilometres, but thankfully no other 100 milers passed me. The final 11km felt like an eternity –beautiful single track that wound its way f-o-r-e-v-e-r through the forested valley below the Zuurberg ridge, before the last climb up to the finish at the Zuurberg Mountain Inn. I made it by dusk, a full 29 hours 25 mins after setting off the previous day. And man, did it feel good to finally sit down! A jolly slow race for a win – considering I’d had to power-walk for the last 50 odd kms, I was lucky to score a win at all. What a fantastic event, and what a brilliant achievement by Free Spirit Adventures to pull off the staging of three big races (44km, 76km and 100 miler) consecutively, without a single hitch. This event’s a winner for sure! 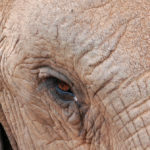 For many of you, Addo will be your first 100 miler. It’ll be a journey into the unknown, a new distance for legs and an experience for your soul. The challenge will not only be physically taxing, but also mentally demanding. On the 26th, 27th (and for some, the 28th) February, you’ll learn a lot about yourself. You’ll be taken to some dark places in your head, there’ll be times when you question your motives, your ability, your sanity. You’ll learn about pushing on through the dark hours, when all your body wants to do is sleep. You’ll discover heaps about perseverance, about grit, about digging deep. And you’ll experience the personal triumph of crossing the finish line after winning all those battles. 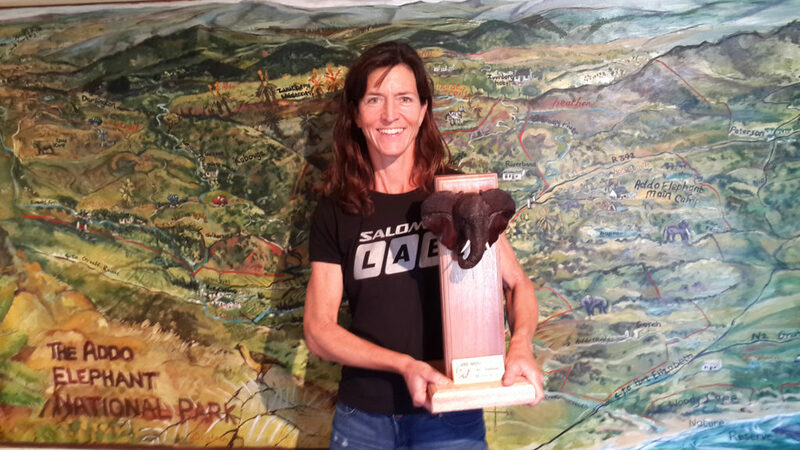 The winning men’s and women’s trophies will be permanently displayed at the Addo Main Camp reception. Wow. That is a great achievement. Well done. It must have been so surreal running through the night in a wilderness where there could be any kind of animal just outside your circle of light.